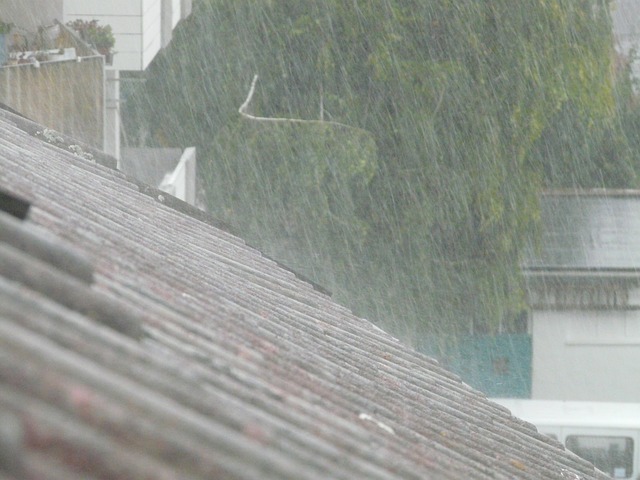 Have the seasonal change storms wrecked a bit of havoc on your roof? Have the strong winds and rain left you with some wet spots in your ceiling or guttering that needs repairing? Roof leaks can be tough to locate and costly to repair if left too long, so your best option is to call in the professionals to inspect your roof and guttering and provide a quote to fix the cracks and stop the leaks. With over 35 years experience in roof restoration work in the South West, Tom and the team at Roofwest are highly skilled and trained extensively to offer peace of mind as well as exceptional workmanship. Your roof may be unique in structure, may have older insulation and in need of upgrading to maximise your heating and cooling efficiency and bring down your power costs. You may have hard to access areas or your roof may need re-sealing with a more modern roof coating. 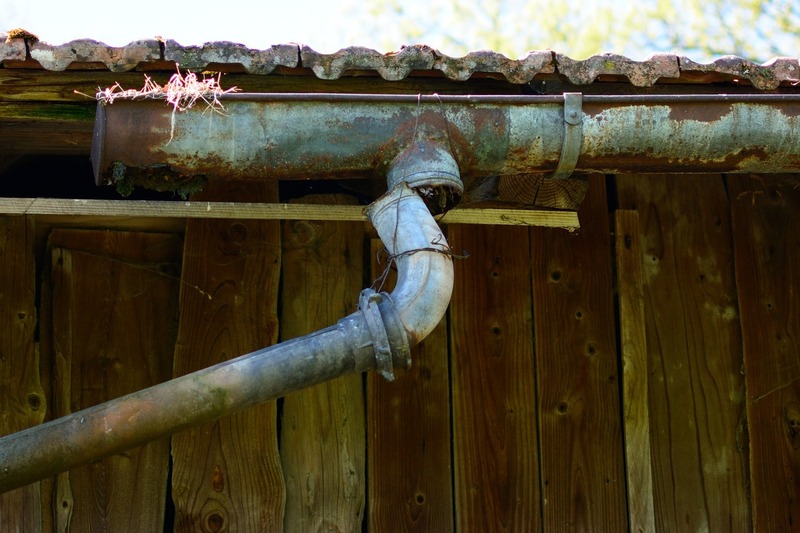 You may feel your guttering needs replacing entirely, but need an expert opinion. Whatever the situation with your roof and guttering, Roofwest has the expertise and industry knowledge to tackle any new or unusual job. Roofwest prides itself on using all the most up-to-date advances in equipment when it comes to the safety of both customers and employees, as well as guaranteeing a superior outcome for your roof. 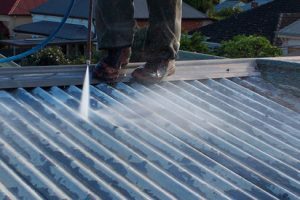 To complete roof and gutter repair, specialised equipment is required to get the job done correctly and quickly and when it comes to the major point of your biggest investment, no shortcuts should be taken in maintenance and repair. Alongside being fully insured as roof restoration specialists, Roofwest can handle all of your insurance claims. It is a requirement of most home insurance policies that any repairs are carried out by a licensed tradesman and Roofwest pride themselves on a reputation for prompt, experienced and reliable service when it comes to handling your insurance claim repairs. Who Can Help Me With My leaking Roof? Whether you have a few cracks that need to be sealed, or your roof needs a facelift, the team at Roofwest Roof Restoration can help you with all your roofing needs. Call the team on 9795 9990 today for a free quote. Good guttering is just as important as a new roof and should be checked on a regular basis to ensure that they are clear from debris which could then block downpipes, leading to leaking going into the internal roof cavity. Guttering is measured by a lineal metre, when problems occur with the guttering the metre length can be replaced at that section if no damage has happened to the fixtures of the gutter attachments. There are several different styles of guttering you can choose to suit your external structure, this will be by the advice of a specialised Roofing expert. It is worthwhile getting your whole roof checked by a professional roofing specialist when having your gutters looked at to ensure no faults from the roof surface can cause structural problems later with your gutters. An oldie and a goodie, colorbond® has been tried and tested to withstand the Australian conditions, ticking all boxes for corrosion, durability, marine and tropical conditions. A powder coated steel which makes it a very popular choice and can be made to match or contrast the wall colours of your home. Silver and perfect Zincalume is a very strong material that will weather most heavy rains conditions, it is cost effective and rust resistant. Zincalume manufactured from Bluesteel and is backed with a full guarantee so you will know your getting quality with this choice. If you are only replacing a small area of guttering and your current guttering is galvanised steel you may choice to continue with this option. Galvanised steel is an older source of guttering, hot dipped steel, not a rustproof product so will require more maintenance than other materials. Need help? ROOFWEST Roof Restoration have over 35 years knowledge and experience when it comes to your roofing needs. Guarantee on work and a professional service throughout. 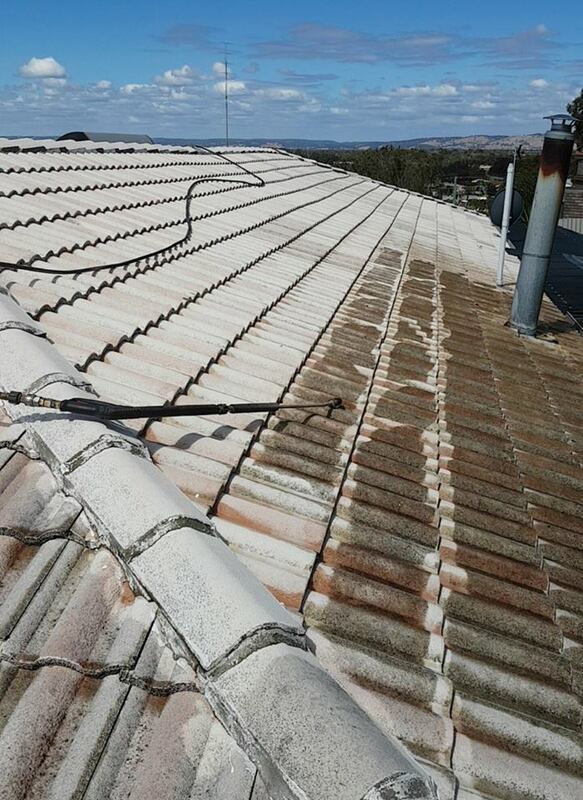 Contact Tom and the team at ROOFWEST Roof Restoration on 9795 9990 for a free quote. Who Can I Get to Re Paint My Roof? 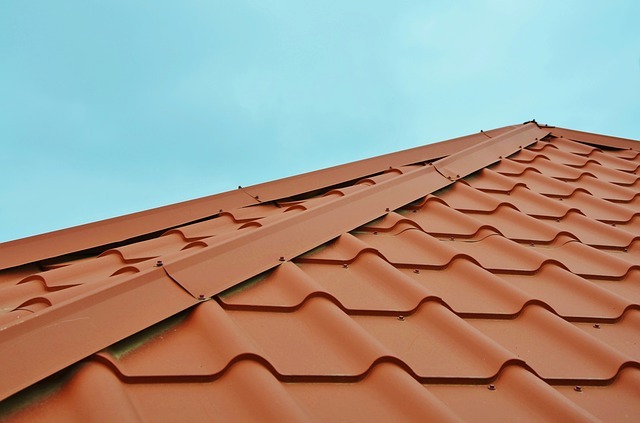 Roofs are the first to be in contact with the harsh weather conditions like rain, winds, hail and sun. 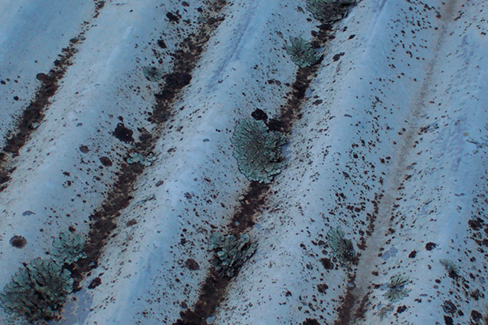 Over time your roof can show wear, fading or the paint may peel from tiles. Cosmetically. 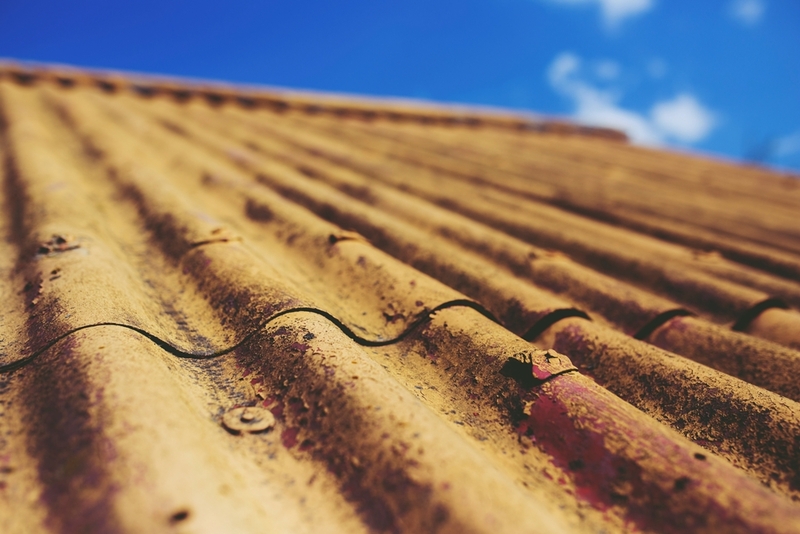 this aging will affect the look of your roof, plus if left unattended could allow your tiles or tin to left and allow the weather to cause damage to your roof. Early preventative maintenance is likely to save you money in the long run. Speaking to a professional Roof Specialist will ensure your roof is given a full inspection and bring that lustrous look back to your roof. Our process using high pressure cleaning will removes all unwanted debris and plant growth; giving a dust free surface that can be easily inspected to ensure any roofing issues are found. Vitally important to have your roof inspected, to check for cracked, missing tiles and gaps in the tiling. For tin roof inspection is also important to check that sheets are fasten securely to prevent lifting and that no holes have formed. Any maintenance will need to be conducted before the painting process to give added protection to the roof surface. Re-Pointing and replacing of tiles have also be identified when the inspection is conducted. The process re-pointing involves ridge capping that is repointed ( gaps filled and restuck into place) using an acrylic mix. Priming and sealing prepares the roof for the adhesion of paint and seals any gaps cracks that could cause leakage. The paint application is applied using a protective membrane coating of Dulux AcraTex, This product is UV resistant solar reflective and comes with a 10 year warranty. It is different to outdoor paint as it expands in the weather elements, has a greater thickness and is less likely to peel as it is made for the conditions. Contact Tom and the Team at RoofWest ROOF Restorations for your roof painting all enquiries for roof restorations and get a FREE onsite quote 9795 9990. As the winter storms hit, this is the time you will notice the damage that may be the cause of either tiles that have cracked, lifting of tin that has warped getting further damage in the gusty winds. If your concerned about the state of your roof, it is a very good idea to get it inspected so that it is safe and secure before the winter season can cause bigger problems to your home. Small leaks can cause big problems underneath the roof making its way to the inside of your home. Lifting Tin will get worse as windy conditions arise and causes water to get underneath and makes its way to your ceiling underneath creating water spots and patches. Cracked tiles that are broken will be an entry point for water to make its way into the ceiling underneath that can cause water makes on the inside of the ceiling. A process of re pointing needs to be done for repair, a sealer needed to be applied to seal all your cracks and will breathe new life into your roof. 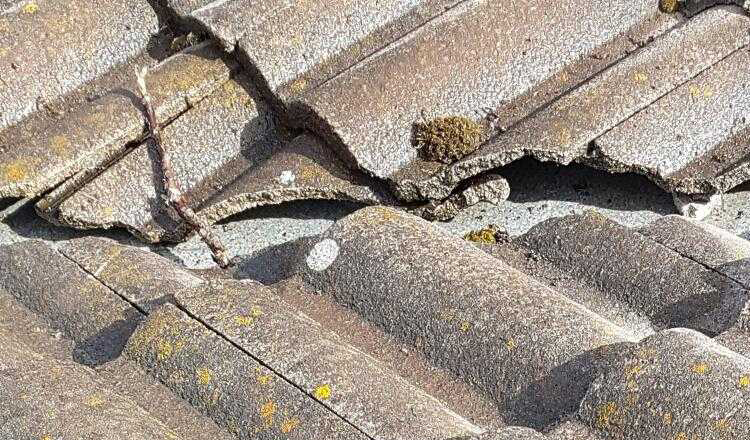 Re Pointing your roof will stop tiles being torn away in wild weather, water leaking into the cracked areas and will protect the bedding of your roof from becoming destroyed and having to be totally replaced. Mortar cracks can be caused from broken tree branches in windy conditions and rain cause water leaking under tiles, leaving crevices for rodents to enter your home. Left untreated this can cause more breakage to the surrounding tiles and problems entering under the tiles surface. If you would like to have your Roof inspected, look no further than ROOFWEST Roof Restorations. We are a local company offering a range of roofing services that you can be guaranteed will last. Whether you need a simple re-pointing service or a full roof replacement, ROOFWEST Roof Restorations are your preferred, professional choice. Call Tom and the team at ROOFWEST Roof Restorations on 9795 9990 today for a free quote. What is the Cost of Roof Restoration? The roof of your home is a protective shield and is exposed to the weather elements day and night, so it is important to keep it maintained and in good condition. Whether you have an old roof for restoration or you would like to maintain your roofs features or giving your roof a complete makeover, RoofWest roof restoration are the people in the know. At ROOFWEST Roof Restoration we have the experience and expertise and will give you the right solutions to bring life back into your roof. 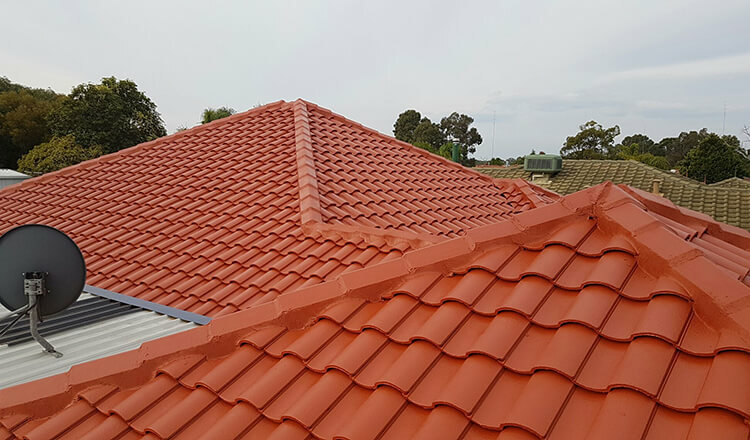 Depending on the condition of your roof this will dictate on the kind of treatment that will be required and the specialised team at ROOFWEST Roof Restoration can inform you the right process for your roof upon inspecting and give you a free quote. Here are some of the services that can be performed to give your roof new life. Cleaning your roof surface can not only make a difference to the look of your roof, it will maintain the quality of your roof, keeping it free of debris that controls the buildup of moss growing and can add value to your home. Using a high pressure cleaner, the roof is cleaned with water in a safely and environmentally friendly process. A process of ridge capping is repointed with a flexible acrylic pointing mix. Coating the entire roof area is sealed to ensure strong adhesion. There are a range of specialty primers to choose from and your ROOFWEST specialist can explain what is best suited for your roofing needs. Application of two coats of Dulux AcraTex Roof Membrane is applied to provide weather protection and durability comes with a 10 year material warranty. Not sure which treatment your roof needs? 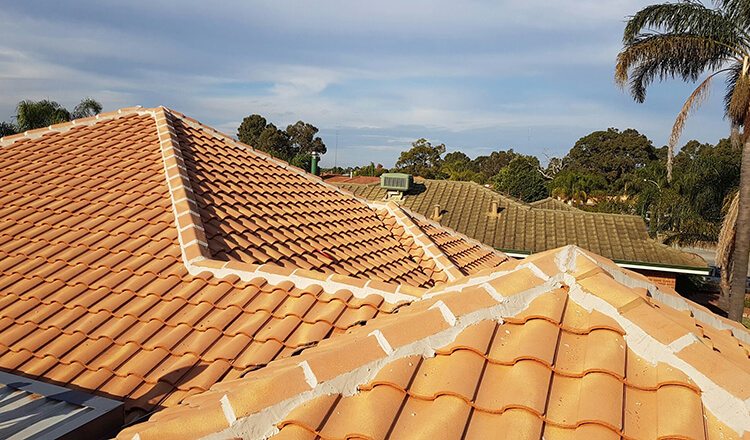 ROOFWEST has over 35 years’ experience in Roof Restoration work and we are Professional Qualified Roof Coaters so we have seen all sorts of roofing problems. We used quality roof Dulux AcraTex coating products which ensures that you will get the best workmanship and peace of mind, we guarantee it. 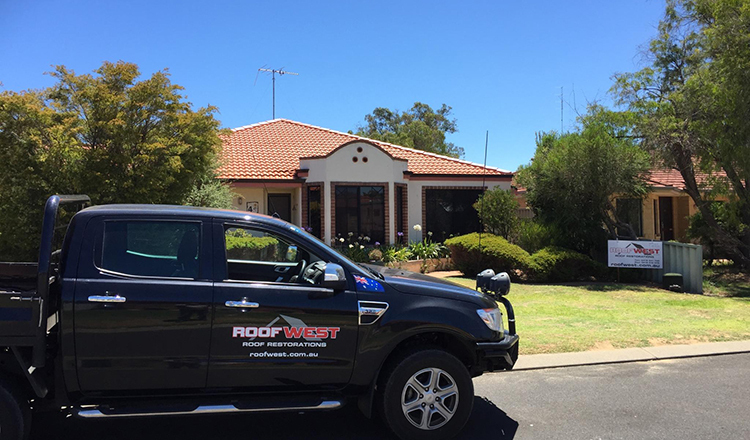 For all your roof restoration needs contact Tom and the team at ROOFWEST Roof Restorations on 9795 9990 for a free onsite inspections and quote. Winter storms have a habit of wrecking havoc on your roof surface, whether it be tin or tile, and it pays to know who to call if your roof is damaged and starts to leak. Small leaks lead to big problems and repairing them is not a job for the home handyman, as you will require safety equipment, correct tools and materials. You will also not be covered by insurance should repairs be faulty and the problem gets worse. ROOFWEST Roof Restorations are your local choice for expert, skilled tradesmen and professional, safe workmanship. 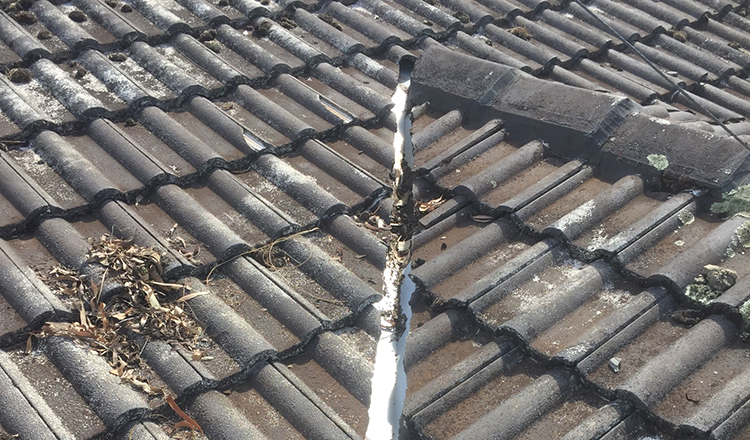 Specialising not only in roof repair and restoration but also gutter repair and replacement, ROOFWEST Roof Restorations service homes throughout the South West on time and on budget. So what happens if you find a leak in your roof following a winter storm? When you call ROOFWEST for a free quote to repair, or completely replace your roof, one of our roofing specialists will attend your property, conduct a full inspection of your roof and supply you with a complete quote with no hidden costs or nasty surprises. You are assured of over 35 years of professional experience, completely compliant with insurance requirements. 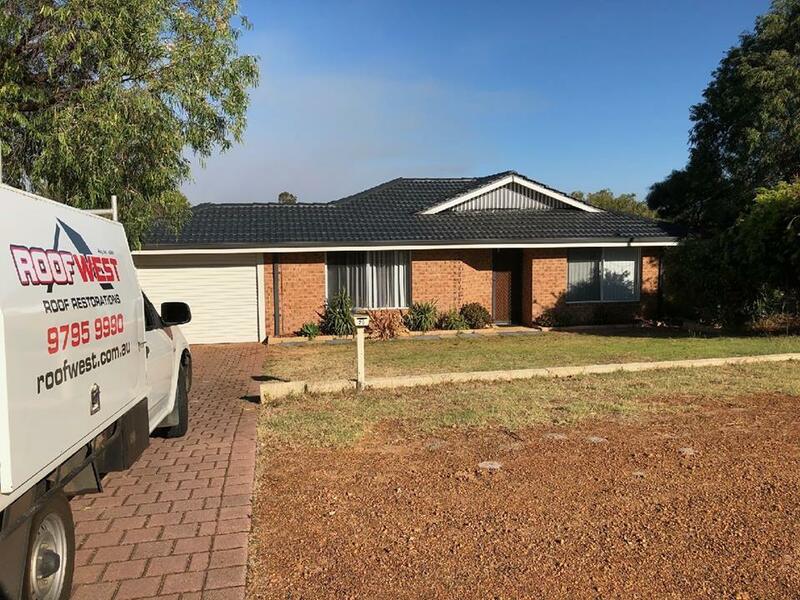 Once you have received your quote and are happy to proceed, the ROOFWEST team attend the site and carry out the requested work, at all times staying in contact to ensure your satisfaction with the work done. ROOFWEST can also install additional features whilst repairing any storm damage, such as new insulation, skylights and ventilation, and can remove and replace guttering and down pipes if required. The work site is then left clean and clear, with all old materials removed and disposed of safely and professionally. With comprehensive after sales service extended to all their clients. ROOFWEST Roof Restorations are only ever a phone call away for any issues you have with your repaired roof. Who Can Repair My Leaking Roof? Don’t let those little leaks, cracks or stains get any bigger this winter. ROOFWEST Roof Restorations service all areas throughout the South West and Great Southern Region. Call the team at ROOFWEST Roof Restorations on 9795 9990 for a free onsite quote today. 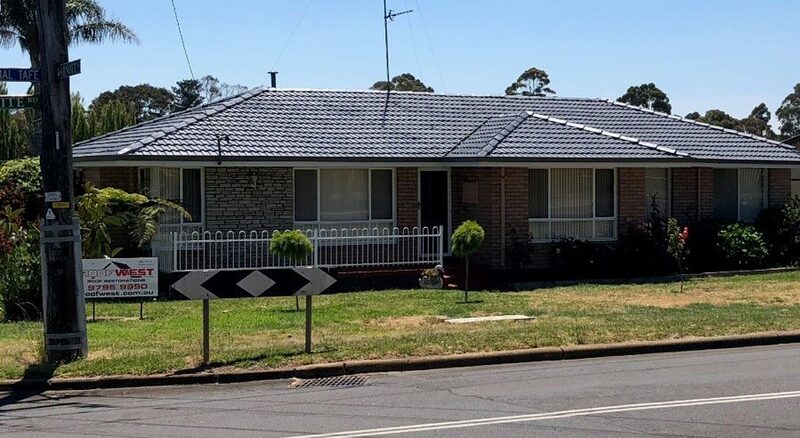 Tin roofs are a popular choice in Australia; not only for the beautiful sound of rain on tin or the ease of maintenance, but for the large range of colours and styles available to suit any home. 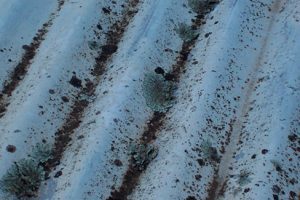 Keeping your tin roof in good condition is vital to maintain the integrity of your roof surface and prolonging the life of your roof and ensuring your tin roof is inspected regularly and maintained can significantly save you money. Choosing ROOFWEST Roof Restorations not only guarantees you high quality products and expert workmanship, it also fulfills insurance requirements and gives you peace of mind that you are taking correct steps to maintaining the roof of your home. 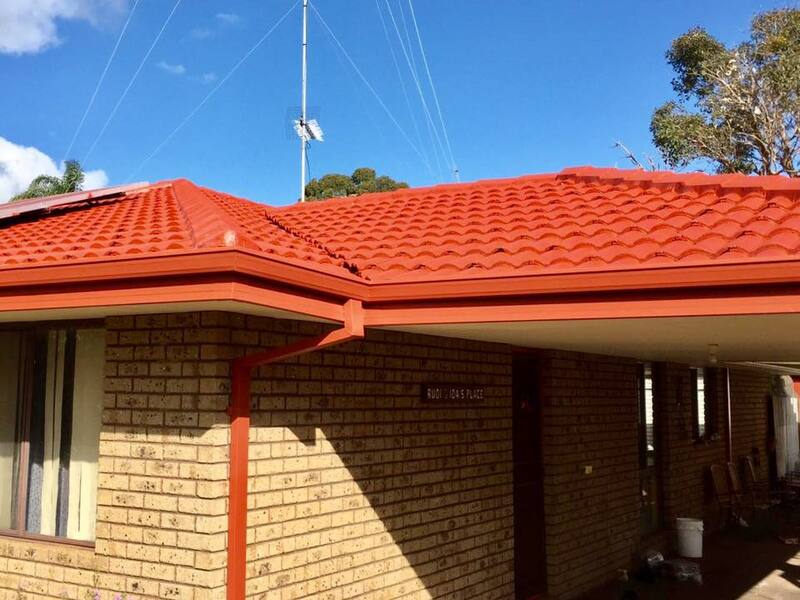 With over 35 years’ experience in Bunbury and the South West and acting as Dulux Accredited Roof Coaters, the ROOFWEST Roof Restorations team have the experience and skills to provide you with the right solution for your roof, whether it be a simple clean and re-coat, or a complete replacement. The entire roof is inspected for damaged tin and preparation requirements. Using a high-pressure cleaner, the roof is washed with water in a safe and environmentally aware manner. Specialist corrosion control primers are applied where required. 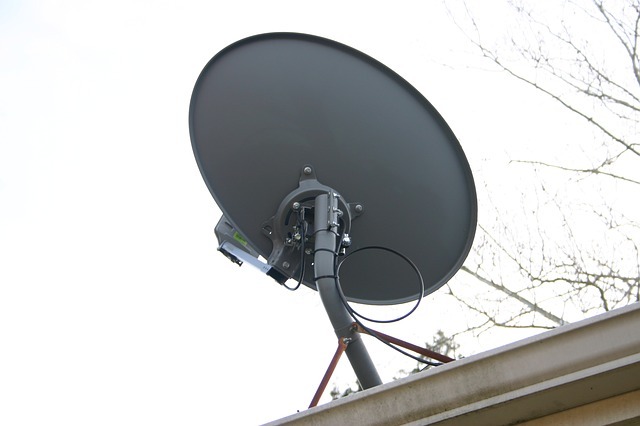 All damaged or rusted roof screws and fittings are replaced. Two coats of Dulux AcraTex Roof Membrane are applied to the roof surface, providing ultimate protection, durability and weather proofing. The Dulux AcraTex Roof Membrane coating system is a full restoration process that gives customers a 10-year materials warranty. Tin Roof Restoration in the South West At Its Best! ROOFWEST Roof Restorations will inspect your roof and repair any issues quickly and affordably as the premier roof restoration company in the South West. With professional, trained experts and superior after sales service, ROOFWEST Roof Restoration are your trusted local choice in roofing. Phone the team today on 9795 9990 to arrange your free quote. Need Graffiti Removal in Bunbury? Look no further than Graffiti Doctors from ROOFWEST Roof Restorations. 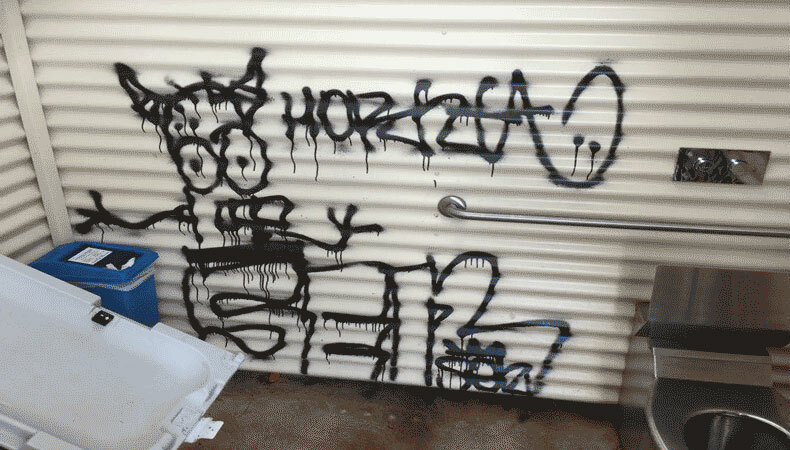 Graffiti Doctors is a graffiti removal company based in Bunbury, servicing commercial, residential and government department clientele throughout the South West with our experienced and professional combination of high pressure spraying and special formula solutions. Specialising in not only graffiti removal but other stain removal from building surfaces, Graffiti Doctors partners with ROOFWEST Roof Restorations to provide superior service and workmanship in restoration services to bring your home back to its former glory. Whether it be a job based on aesthetics or an insurance claim from an act of vandalism, inevitable bore water stains on a rural property or mishaps with grease, paint or long-term moss, Graffiti Doctors can assist on time and on budget. Graffiti Doctors can remove large or small graffiti tags from commercial and domestic properties, tilt up’s, shops, factories, homes, signage, parks, sports clubs, fencing, walls; just about any surface. 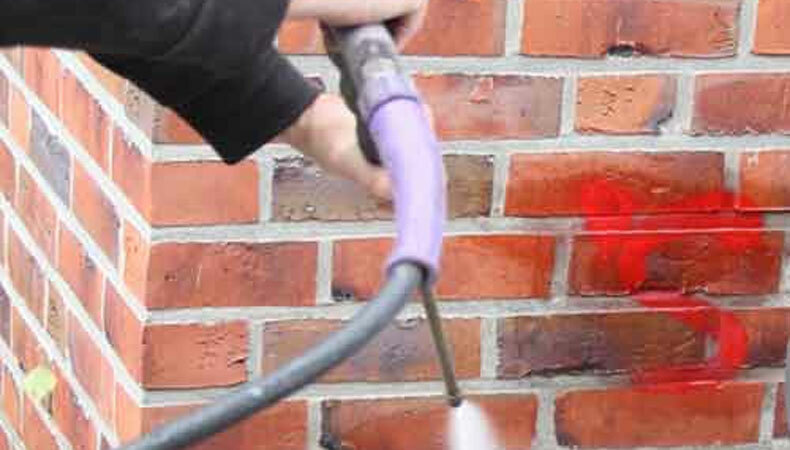 Using their careful practices and chemically balanced solutions, Graffiti Doctors can remove unsightly and unwanted vandalism from limestone, brick, tin, glass, concrete and other surfaces. Bore water is cost effective and eco-friendly, but it leaves stubborn and ugly stains on walls, paths, driveways and windows. Bring your property back to looking its best, especially if you are selling, and take advantage of Graffiti Doctors superior high-pressure cleaning equipment and products that can remove stains quickly and safely. Dirt, grime, algae and moss are all natural occurrences, but can be unsightly and harbour bacteria. Oil, grease and paint can be spilt easily but cleaning them up quickly is not a simple process. Graffiti Doctors use specialist degreasing products and methods to remove the products that can severely damage the surfaces in your home and bring life back into your floors, roof, walls, paths and doors. Graffiti Removal In The South West? Call Graffiti Doctors Today. Graffiti Doctors take great care in getting the balance right between very high pressure, efficient cleaning and keeping the surface, and surrounding areas, safe from damage. Utilising the latest technology and genuine care for our customers property, Graffiti Doctors has over 20 years’ experience in making sure your stains are removed efficiently and affordably. Call us today at Graffiti Doctors on 9795 9990.